Ìṣeọ̀rọ̀awùjọ ni àgbéwòkà onísáyẹ́nsì àwùjọ. Ó jẹ́ sáyẹ́nsì àwùjọ (a term with which it is sometimes synonymous) tó únlo oríṣi ọ̀nà ìwádìí oníìrírí and critical analysis láti ṣàgbédìde àpapọ̀ ìmọ̀ nípa àgbéṣe àwùjọ ọmọnìyàn. Fún ọ̀pọ̀ àwọn aṣeọ̀rọ̀àwùjọ èrò iṣẹ́ wọn ni láti ṣe ìwadìí tí yíò ṣe é múlò tààrà sí ètòìlú àwùjọ àti ìtọ́jú, nígbàtí àwọn míràn dá ṣẹ́ wọn lórí ìtúnṣe ìlóye aláròjinlẹ̀ àwọn àgbéṣe àwùjọ. Orí-ọ̀rọ̀ ṣegbàjá láti orí-pele oníkékeré ìṣàgbéṣe ẹnìkọ̀kan àti ìbáṣepọ̀ dé orí-pele onígbàngbà àwọn sístẹ́mù àti ìpele àwùjọ. Ìṣeọ̀rọ̀àwùjọ ti úndálórí ìtòlẹ́se àwùjọ, àtòsọ́tọ̀ àwùjọ, àṣà, ìyípòpadà àwùjọ, ẹ̀sìn, ìsọditaráayé, òfin, àti ìyájú. Gbogbo àyíká àgbéṣe ọmọnìyàn jẹ́ nínípa lórí látọwọ́ ìṣepapọ̀ láàrin ìpele àwùjọ àti ìṣàgbéṣe ẹnìkọ̀kan, Ìṣeọ̀rọ̀awùjọ ti fẹ̀ díẹ̀díẹ̀ dé orí-ọ̀rọ̀ bíi àdìmúlẹ̀ ìlera, oníwòsàn, ológun àti ìjẹníyà , Internet, bẹ́ẹ̀sìni iṣẹ́ àgbéṣe àwùjọ nínú ìdàgbàsókè ìmọ̀ sáyẹ́nsì. Gbàjá àwọn ọ̀nà sáyẹ́nsì àwùjọ náà tún ti fẹ̀ si. Àwọn aṣèwadìí àwùjọ únlo oríṣi ọ̀nà ìdárasí àti ìpòsí. Àwọn linguistic and cultural turns of the mid-twentieth century led to increasingly interpretative, hermeneutic, and philosophic approaches to the analysis of society. Conversely, recent decades have seen the rise of new analytically, mathematically and computationally rigorous techniques, such as agent-based modelling and social network analysis. Sociology should not be confused with various general social studies courses which bear little relation to sociological theory or social science research methodology. The word sociology (or "sociologie") is derived from both Latin and Greek origins. The Latin word: socius, "companion"; -ology, "the study of", and in Greek λόγος, lógos, "word", "knowledge". It was first coined in 1780 by the French essayist Emmanuel-Joseph Sieyès (1748–1836) in an unpublished manuscript. 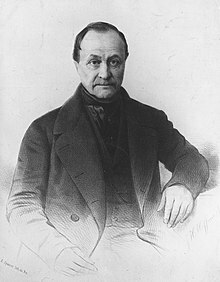 Sociology was later defined independently by the French philosopher of science, Auguste Comte (1798–1857), in 1838. Comte used this term to describe a new way of looking at society. Comte had earlier used the term "social physics", but that had subsequently been appropriated by others, most notably the Belgian statistician Adolphe Quetelet. Comte endeavored to unify history, psychology and economics through the scientific understanding of the social realm. Writing shortly after the malaise of the French Revolution, he proposed that social ills could be remedied through sociological positivism, an epistemological approach outlined in The Course in Positive Philosophy [1830–1842] and A General View of Positivism (1848). Comte believed a positivist stage would mark the final era, after conjectural theological and metaphysical phases, in the progression of human understanding. In observing the circular dependence of theory and observation in science, and having classified the sciences, Comte may be regarded as the first philosopher of science in the modern sense of the term. Formal academic sociology was established by Émile Durkheim (1858–1917), who developed positivism as a foundation to practical social research. While Durkheim rejected much of the detail of Comte's philosophy, he retained and refined its method, maintaining that the social sciences are a logical continuation of the natural ones into the realm of human activity, and insisting that they may retain the same objectivity, rationalism, and approach to causality. Durkheim set up the first European department of sociology at the University of Bordeaux in 1895, publishing his Rules of the Sociological Method (1895). 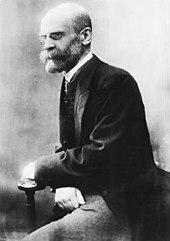 For Durkheim, sociology could be described as the "science of institutions, their genesis and their functioning". Marx and Engels associated the emergence of modern society above all with the development of capitalism; for Durkheim it was connected in particular with industrialization and the new social division of labor which this brought about; for Weber it had to do with the emergence of a distinctive way of thinking, the rational calculation which he associated with the Protestant Ethic (more or less what Marx and Engels speak of in terms of those 'icy waves of egotistical calculation'). Together the works of these great classical sociologists suggest what Giddens has recently described as 'a multidimensional view of institutions of modernity' and which emphasizes not only capitalism and industrialism as key institutions of modernity, but also 'surveillance' (meaning 'control of information and social supervision') and 'military power' (control of the means of violence in the context of the industrialization of war). The first sociology department to be established in the United Kingdom was at the London School of Economics and Political Science (home of the British Journal of Sociology) in 1904. Leonard Trelawny Hobhouse became a lecturer in the discipline at the University of London in 1907. Harriet Martineau, an English translator of Comte, has been cited as the first female sociologist. In 1909 the Deutsche Gesellschaft für Soziologie (German Sociological Association) was founded by Ferdinand Tönnies and Max Weber, among others. Weber established the first department in Germany at the Ludwig Maximilian University of Munich in 1919, having presented an influential new antipositivist sociology. In 1920, Florian Znaniecki set up the first department in Poland. The Institute for Social Research at the University of Frankfurt (later to become the Frankfurt School of critical theory) was founded in 1923. International co-operation in sociology began in 1893, when René Worms founded the Institut International de Sociologie, an institution later eclipsed by the much larger International Sociological Association (ISA), founded in 1949. "Our main goal is to extend scientific rationalism to human conduct... What has been called our positivism is but a consequence of this rationalism." The term has long since ceased to carry this meaning; there are no fewer than twelve distinct epistemologies that are referred to as positivism. Many of these approaches do not self-identify as "positivist", some because they themselves arose in opposition to older forms of positivism, and some because the label has over time become a term of abuse by being mistakenly linked with a theoretical empiricism. The extent of antipositivist criticism has also diverged, with many rejecting the scientific method and others only seeking to amend it to reflect 20th century developments in the philosophy of science. However, positivism (broadly understood as a scientific approach to the study of society) remains dominant in contemporary sociology, especially in the United States. Loic Wacquant distinguishes three major strains of positivism: Durkheimian, Logical and Instrumental. None of these are the same as that set forth by Comte, who was unique in advocating such a rigid (and perhaps optimistic) version. While Émile Durkheim rejected much of the detail of Comte's philosophy, he retained and refined its method. Durkheim maintained that the social sciences are a logical continuation of the natural ones into the realm of human activity, and insisted that they should retain the same objectivity, rationalism, and approach to causality. 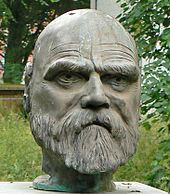 He developed the notion of objective sui generis "social facts" to delineate a unique empirical object for the science of sociology to study. The variety of positivism that remains dominant today is termed instrumental positivism. This approach eschews epistemological and metaphysical concerns (such as the nature of social facts) in favor of methodological clarity, replicability, reliability and validity. This positivism is more or less synonymous with quantitative research, and so only resembles older positivism in practice. Since it carries no explicit philosophical commitment, its practitioners may not belong to any particular school of thought. 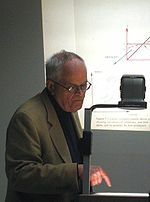 Modern sociology of this type is often credited to Paul Lazarsfeld, who pioneered large-scale survey studies and developed statistical techniques for analyzing them. This approach lends itself to what Robert K. Merton called middle-range theory: abstract statements that generalize from segregated hypotheses and empirical regularities rather than starting with an abstract idea of a social whole. At the turn of the 20th century the first generation of German sociologists formally introduced methodological anti-positivism, proposing that research should concentrate on human cultural norms, values, symbols, and social processes viewed from a resolutely subjective perspective. Max Weber argued that sociology may be loosely described as a science as it is able to identify causal relationships of human "social action"—especially among "ideal types", or hypothetical simplifications of complex social phenomena. As a non-positivist, however, Weber sought relationships that are not as "historical, invariant, or generalizable" as those pursued by natural scientists. Fellow German sociologist, Ferdinand Tönnies, theorized on two crucial abstract concepts with his work on "Gemeinschaft and Gesellschaft" (lit. community and society). Tönnies marked a sharp line between the realm of concepts and the reality of social action: the first must be treated axiomatically and in a deductive way ("pure sociology"), whereas the second empirically and inductively ("applied sociology"). [Sociology is ] ... the science whose object is to interpret the meaning of social action and thereby give a causal explanation of the way in which the action proceeds and the effects which it produces. By 'action' in this definition is meant the human behavior when and to the extent that the agent or agents see it as subjectively meaningful ... the meaning to which we refer may be either (a) the meaning actually intended either by an individual agent on a particular historical occasion or by a number of agents on an approximate average in a given set of cases, or (b) the meaning attributed to the agent or agents, as types, in a pure type constructed in the abstract. In neither case is the 'meaning' to be thought of as somehow objectively 'correct' or 'true' by some metaphysical criterion. This is the difference between the empirical sciences of action, such as sociology and history, and any kind of prior discipline, such as jurisprudence, logic, ethics, or aesthetics whose aim is to extract from their subject-matter 'correct' or 'valid' meaning. The deepest problems of modern life flow from the attempt of the individual to maintain the independence and individuality of his existence against the sovereign powers of society, against the weight of the historical heritage and the external culture and technique of life. The antagonism represents the most modern form of the conflict which primitive man must carry on with nature for his own bodily existence. The eighteenth century may have called for liberation from all the ties which grew up historically in politics, in religion, in morality and in economics in order to permit the original natural virtue of man, which is equal in everyone, to develop without inhibition; the nineteenth century may have sought to promote, in addition to man's freedom, his individuality (which is connected with the division of labor) and his achievements which make him unique and indispensable but which at the same time make him so much the more dependent on the complementary activity of others; Nietzsche may have seen the relentless struggle of the individual as the prerequisite for his full development, while socialism found the same thing in the suppression of all competition – but in each of these the same fundamental motive was at work, namely the resistance of the individual to being leveled, swallowed up in the social-technological mechanism. The contemporary discipline of sociology is theoretically multi-paradigmatic. Modern sociological theory descends from the historical foundations of functionalist (Durkheim) and conflict-centered (Marx) accounts of social structure, as well as the micro-scale structural (Simmel) and pragmatist (Mead) theories of social interaction. Contemporary sociological theory retains traces of these approaches. Presently, sociological theories lack a single overarching foundation, and there is little consensus about what such a framework should consist of. However, a number of broad paradigms cover much present sociological theorizing. In the humanistic parts of the discipline, these paradigms are referred to as social theory, and are often shared with the humanities. The discipline's dominant scientifically-oriented areas generally focus on a different set of theoretical perspectives, which by contrast are generally referred to as sociological theory. These include new institutionalism, social networks, social identity, social and cultural capital, toolkit and cognitive theories of culture, and resource mobilization. Analytical sociology is an ongoing effort to systematize many of these middle-range theories. A broad historical paradigm in both sociology and anthropology, functionalism addresses the social structure as a whole and in terms of the necessary function of its constituent elements. A common analogy (popularized by Herbert Spencer) is to regard norms and institutions as 'organs' that work toward the proper-functioning of the entire 'body' of society. The perspective was implicit in the original sociological positivism of Comte, but was theorized in full by Durkheim, again with respect to observable, structural laws. Functionalism also has an anthropological basis in the work of theorists such as Marcel Mauss, Bronisław Malinowski and Radcliffe-Brown. It is in Radcliffe-Brown's specific usage that the prefix 'structural' emerged. Classical functionalist theory is generally united by its tendency towards biological analogy and notions of social evolutionism. As Giddens states: "Functionalist thought, from Comte onwards, has looked particularly towards biology as the science providing the closest and most compatible model for social science. Biology has been taken to provide a guide to conceptualizing the structure and the function of social systems and to analyzing processes of evolution via mechanisms of adaptation ... functionalism strongly emphasizes the pre-eminence of the social world over its individual parts (i.e. its constituent actors, human subjects)." To aim for a civilization beyond that made possible by the nexus of the surrounding environment will result in unloosing sickness into the very society we live in. Collective activity cannot be encouraged beyond the point set by the condition of the social organism without undermining health. The functionalist movement reached its crescendo in the 1940s and 1950s, and by the 1960s was in rapid decline. By the 1980s, functionalism in Europe had broadly been replaced by conflict-oriented approaches. While some of the critical approaches also gained popularity in the United States, the mainstream of the discipline instead shifted to a variety of empirically-oriented middle-range theories with no single overarching theoretical orientation. To many in the discipline, functionalism is now considered "as dead as a dodo." As the influence of both functionalism and Marxism in the 1960s began to wane, the linguistic and cultural turns led to myriad new movements in the social sciences: "According to Giddens, the orthodox consensus terminated in the late 1960s and 1970s as the middle ground shared by otherwise competing perspectives gave way and was replaced by a baffling variety of competing perspectives. This third 'generation' of social theory includes phenomenologically inspired approaches, critical theory, ethnomethodology, symbolic interactionism, structuralism, post-structuralism, and theories written in the tradition of hermeneutics and ordinary language philosophy." The structuralist movement originated from the linguistic theory of Ferdinand de Saussure and was later expanded to the social sciences by theorists such as Claude Lévi-Strauss. In this context, 'structure' refers not to 'social structure' but to the semiotic understanding of human culture as a system of signs. One may delineate four central tenets of structuralism: First, structure is what determines the structure of a whole. Second, structuralists believe that every system has a structure. Third, structuralists are interested in 'structural' laws that deal with coexistence rather than changes. Finally, structures are the 'real things' beneath the surface or the appearance of meaning. Post-structuralist thought has tended to reject 'humanist' assumptions in the conduct of social theory. Michel Foucault provides a potent critique in his archaeology of the human sciences, though Habermas and Rorty have both argued that Foucault merely replaces one such system of thought with another. The dialogue between these intellectuals highlights a trend in recent years for certain schools of sociology and philosophy to intersect. The anti-humanist position has been associated with "postmodernism," a term used in specific contexts to describe an era or phenomena, but occasionally construed as a method. Structure and agency, form an enduring ontological debate in social theory: "Do social structures determine an individual's behaviour or does human agency?" In this context 'agency' refers to the capacity of individuals to act independently and make free choices, whereas 'structure' relates to factors which limit or affect the choices and actions of individuals (such as social class, religion, gender, ethnicity, and so on). Discussions over the primacy of either structure and agency relate to the core of sociological epistemology ("What is the social world made of? ", "What is a cause in the social world, and what is an effect?"). A general outcome of incredulity toward structural or agential thought has been the development of multidimensional theories, most notably the action theory of Talcott Parsons and Anthony Giddens's theory of structuration. Sociologists are divided into camps of support for particular research techniques. These disputes relate to the epistemological debates at the historical core of social theory. While very different in many aspects, both qualitative and quantitative approaches involve a systematic interaction between theory and data. Quantitative methodologies hold the dominant position in sociology, especially in the United States. In the discipline's two most cited journals, quantitative articles have historically outnumbered qualitative ones by a factor of two. (Most articles published in the largest British journal, on the other hand, are qualitative.) 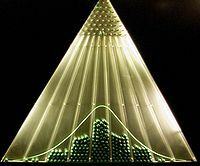 Most textbooks on the methodology of social research are written from the quantitative perspective, and the very term "methodology" is often used synonymously with "statistics." Practically all sociology PhD program in the United States require training in statistical methods. The work produced by quantitative researchers is also deemed more 'trustworthy' and 'unbiased' by the greater public, though this judgment continues to be challenged by antipositivists. Content analysis: The content of interviews and other texts is systematically analyzed. Often data is 'coded' as a part of the 'grounded theory' approach using qualitative data analysis (QDA) software, such as NVivo. Experimental research: The researcher isolates a single social process and reproduces it in a laboratory (for example, by creating a situation where unconscious sexist judgments are possible), seeking to determine whether or not certain social variables can cause, or depend upon, other variables (for instance, seeing if people's feelings about traditional gender roles can be manipulated by the activation of contrasting gender stereotypes). Participants are randomly assigned to different groups which either serve as controls—acting as reference points because they are tested with regard to the dependent variable, albeit without having been exposed to any independent variables of interest—or receive one or more treatments. Randomization allows the researcher to be sure that any resulting differences between groups are the result of the treatment. Observation: Using data from the senses, the researcher records information about social phenomenon or behavior. Observation techniques may or may not feature participation. In participant observation, the researcher goes into the field (such as a community or a place of work), and participates in the activities of the field for a prolonged period of time in order to acquire a deep understanding of it. Data acquired through these techniques may be analyzed either quantitatively or qualitatively. Survey research: The researcher gathers data using interviews, questionnaires, or similar feedback from a set of people sampled from a particular population of interest. Survey items from an interview or questionnaire may be open-ended or closed-ended. Data from surveys is usually analyzed statistically on a computer. A social network diagram: individuals (or 'nodes') connected by relationships. Sociologists increasingly draw upon computationally intensive methods to analyze and model social phenomena. Using computer simulations, artificial intelligence, text mining, complex statistical methods, and new analytic approaches like social network analysis, computational sociology develops and tests theories of complex social processes through bottom-up modeling of social interactions. Although the subject matter and methodologies in social science differ from those in natural science or computer science, several of the approaches used in contemporary social simulation originated from fields such as physics and artificial intelligence. By the same token, some of the approaches that originated in computational sociology have been imported into the natural sciences, such as measures of network centrality from the fields of social network analysis and network science. In relevant literature, computational sociology is often related to the study of social complexity. Social complexity concepts such as complex systems, non-linear interconnection among macro and micro process, and emergence, have entered the vocabulary of computational sociology. A practical and well-known example is the construction of a computational model in the form of an "artificial society", by which researchers can analyze the structure of a social system. Social organization is the study of the various institutions, social groups, social stratification, social mobility, bureaucracy, ethnic groups and relations, and other similar subjects like family, education, politics, religion, economy, and so on and so forth. Social psychology is the study of human nature as an outcome of group life, social attitudes, collective behavior, and personality formation. It deals with group life and the individual's traits, attitudes, beliefs as influenced by group life, and it views man with reference to group life. Social change and disorganization is the study of the change in culture and social relations and the disruption that may occur in society, and it deals with the study of such current problems in society such as juvenile delinquency, criminality, drug addiction, family conflicts, divorce, population problems, and other similar subjects. Human ecology deals with the nature and behavior of a given population and its relationships to the group's present social institutions. For instance, studies of this kind have shown the prevalence of mental illness, criminality, delinquencies, prostitution, and drug addiction in urban centers and other highly developed places. Population or demography is the study of population number, composition, change, and quality as they influence the economic, political, and social system. Sociological theory and method is concerned with the applicability and usefulness of the principles and theories of group life as bases for the regulation of man's environment, and includes theory building and testing as bases for the prediction and control of man's social environment. Applied sociology utilizes the findings of pure sociological research in various fields such as criminology, social work, community development, education, industrial relations, marriage, ethnic relations, family counseling, and other aspects and problems of daily life. Max Horkheimer (left, front), Theodor Adorno (right, front), and Jürgen Habermas (right, back) 1965. For Simmel, culture referred to "the cultivation of individuals through the agency of external forms which have been objectified in the course of history". Whilst early theorists such as Durkheim and Mauss were influential in cultural anthropology, sociologists of culture are generally distinguished by their concern for modern (rather than primitive or ancient) society. Cultural sociology is seldom empirical, preferring instead the hermeneutic analysis of words, artifacts and symbols.Àdàkọ:Dubious The field is closely allied with critical theory in the vein of Theodor W. Adorno, Walter Benjamin, and other members of the Frankfurt School. Loosely distinct to sociology is the field of cultural studies. Birmingham School theorists such as Richard Hoggart and Stuart Hall questioned the division between "producers" and "consumers" evident in earlier theory, emphasizing the reciprocity in the production of texts. Cultural Studies aims to examine its subject matter in terms of cultural practices and their relation to power. For example, a study of a subculture (such as white working class youth in London) would consider the social practices of the group as they relate to the dominant class. The "cultural turn" of the 1960s, which ushered in structuralist and so-called postmodern approaches to social science and placed culture much higher on the sociological agenda. Criminologists analyze the nature, causes, and control of criminal activity, drawing upon methods across sociology, psychology, and the behavioural sciences. The sociology of deviance focuses on actions or behaviors that violate norms, including both formally enacted rules (e.g., crime) and informal violations of cultural norms. It is the remit of sociologists to study why these norms exist; how they change over time; and how they are enforced. The concept of deviance is central in contemporary structural functionalism and systems theory. Robert K. Merton produced a typology of deviance, and also established the terms "role model", "unintended consequences", and "self-fulfilling prophecy". The study of law played a significant role in the formation of classical sociology. Durkheim famously described law as the "visible symbol" of social solidarity. The sociology of law refers to both a sub-discipline of sociology and an approach within the field of legal studies. Sociology of law is a diverse field of study which examines the interaction of law with other aspects of society, such as the development of legal institutions and the effect of laws on social change and vice versa. For example, an influential recent work in the field relies on statistical analyses to argue that the increase in incarceration in the US over the last 30 years is due to changes in law and policing and not to an increase in crime; and that this increase significantly contributes to maintaining racial stratification. Environmental sociology is the study of human interactions with the natural environment, typically emphasizing human dimensions of environmental problems, social impacts of those problems, and efforts to resolve them. As with other subfields of sociology, scholarship in environmental sociology may be at one or multiple levels of analysis, from global (e.g. world-systems) to local, societal to individual. Attention is paid also to the processes by which environmental problems become defined and known to humans. The sociology of education is the study of how educational institutions determine social structures, experiences, and other outcomes. It is particularly concerned with the schooling systems of modern industrial societies. A classic 1966 study in this field by James Coleman, known as the "Coleman Report", analyzed the performance of over 150,000 students and found that student background and socioeconomic status are much more important in determining educational outcomes than are measured differences in school resources (i.e. per pupil spending). The controversy over "school effects" ignited by that study has continued to this day. The study also found that socially disadvantaged black students profited from schooling in racially mixed classrooms, and thus served as a catalyst for desegregation busing in American public schools. Family, gender and sexuality form a broad area of inquiry studied in many subfields of sociology. The sociology of the family examines the family, as an institution and unit of socialization, with special concern for the comparatively modern historical emergence of the nuclear family and its distinct gender roles. The notion of "childhood" is also significant. As one of the more basic institutions to which one may apply sociological perspectives, the sociology of the family is a common component on introductory academic curricula. Feminist sociology, on the other hand, is a normative subfield that observes and critiques the cultural categories of gender and sexuality, particularly with respect to power and inequality. The primary concern of feminist theory is the patriarchy and the systematic oppression of women apparent in many societies, both at the level of small-scale interaction and in terms of the broader social structure. Social psychology of gender, on the other hand, uses experimental methods to uncover the microprocesses of gender stratification. For example, one recent study has shown that resume evaluators penalize women for motherhood while giving a boost to men for fatherhood. Another set of experiments showed that men whose sexuality is questioned compensate by expressing a greater desire for military intervention and sport utility vehicles as well as a greater opposition to gay marriage. The sociology of health and illness focuses on the social effects of, and public attitudes toward, illnesses, diseases, disabilities and the aging process. Medical sociology, by contrast, focuses on the inner-workings of medical organizations and clinical institutions. In Britain, sociology was introduced into the medical curriculum following the Goodenough Report (1944). The Internet is of interest to sociologists in various ways; most practically as a tool for research and as a discussion platform. The sociology of the Internet in the broad sense regards the analysis of online communities (e.g. newsgroups, social networking sites) and virtual worlds. Online communities may be studied statistically through network analysis or interpreted qualitatively through virtual ethnography. Organizational change is catalyzed through new media, thereby influencing social change at-large, perhaps forming the framework for a transformation from an industrial to an informational society. One notable text is Manuel Castells' The Internet Galaxy—the title of which forms an inter-textual reference to Marshall McLuhan's The Gutenberg Galaxy. The sociology of science involves the study of science as a social activity, especially dealing "with the social conditions and effects of science, and with the social structures and processes of scientific activity." Important theorists in the sociology of science include Robert K. Merton and Bruno Latour. These branches of sociology have contributed to the formation of science and technology studies. As with cultural studies, media studies is a distinct discipline which owes to the convergence of sociology and other social sciences and humanities, in particular, literary criticism and critical theory. Though the production process or the critique of aesthetic forms is not in the remit of sociologists, analyses of socialising factors, such as ideological effects and audience reception, stem from sociological theory and method. Thus the 'sociology of the media' is not a subdiscipline per se, but the media is a common and often-indispensable topic. Military sociology aims toward the systematic study of the military as a social group rather than as an organization. It is a highly specialized subfield which examines issues related to service personnel as a distinct group with coerced collective action based on shared interests linked to survival in vocation and combat, with purposes and values that are more defined and narrow than within civil society. Military sociology also concerns civilian-military relations and interactions between other groups or governmental agencies. 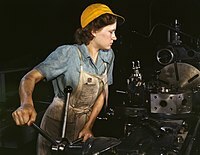 Topics include the dominant assumptions held by those in the military, changes in military members' willingness to fight, military unionization, military professionalism, the increased utilization of women, the military industrial-academic complex, the military's dependence on research, and the institutional and organizational structure of military. Historically political sociology concerned the relations between political organization and society. A typical research question in this area might be: "Why do so few American citizens choose to vote?" In this respect questions of political opinion formation brought about some of the pioneering uses of statistical survey research by Paul Lazarsfeld. A major subfield of political sociology developed in relation to such questions, which draws on comparative history to analyze socio-political trends. The field developed from the work of Max Weber and Moisey Ostrogorsky. The sociology of race and of ethnic relations is the area of the discipline that studies the social, political, and economic relations between races and ethnicities at all levels of society. This area encompasses the study of racism, residential segregation, and other complex social processes between different racial and ethnic groups. This research frequently interacts with other areas of sociology such as stratification and social psychology, as well as with postcolonial theory. At the level of political policy, ethnic relations are discussed in terms of either assimilationism or multiculturalism. Anti-racism forms another style of policy, particularly popular in the 1960s and 70s. The sociology of religion concerns the practices, historical backgrounds, developments, universal themes and roles of religion in society. There is particular emphasis on the recurring role of religion in all societies and throughout recorded history. The sociology of religion is distinguished from the philosophy of religion in that sociologists do not set out to assess the validity of religious truth-claims, instead assuming what Peter L. Berger has described as a position of "methodological atheism". It may be said that the modern formal discipline of sociology began with the analysis of religion in Durkheim's 1897 study of suicide rates amongst Roman Catholic and Protestant populations. Max Weber published four major texts on religion in a context of economic sociology and his rationalization thesis: The Protestant Ethic and the Spirit of Capitalism (1905), The Religion of China: Confucianism and Taoism (1915), The Religion of India: The Sociology of Hinduism and Buddhism (1915), and Ancient Judaism (1920). Contemporary debates often center on topics such as secularization, civil religion, and the role of religion in a context of globalization and multiculturalism. A social network is a social structure composed of individuals (or organizations) called "nodes", which are tied (connected) by one or more specific types of interdependency, such as friendship, kinship, financial exchange, dislike, sexual relationships, or relationships of beliefs, knowledge or prestige. Social networks operate on many levels, from families up to the level of nations, and play a critical role in determining the way problems are solved, organizations are run, and the degree to which individuals succeed in achieving their goals. Social network analysis makes no assumption that groups are the building blocks of society: the approach is open to studying less-bounded social systems, from non-local communities to networks of exchange. Rather than treating individuals (persons, organizations, states) as discrete units of analysis, it focuses on how the structure of ties affects individuals and their relationships. In contrast to analyses that assume that socialization into norms determines behavior, network analysis looks to see the extent to which the structure and composition of ties affect norms. Unlike most other areas of sociology, social network theory is usually defined in formal mathematics. Sociological social psychology focuses on micro-scale social actions. This area may be described as adhering to "sociological miniaturism", examining whole societies through the study of individual thoughts and emotions as well as behavior of small groups. Of special concern to psychological sociologists is how to explain a variety of demographic, social, and cultural facts in terms of human social interaction. Some of the major topics in this field are social inequality, group dynamics, prejudice, aggression, social perception, group behavior, social change, nonverbal behavior, socialization, conformity, leadership, and social identity. Social psychology may be taught with psychological emphasis. In sociology, researchers in this field are the most prominent users of the experimental method (however, unlike their psychological counterparts, they also frequently employ other methodologies). Social psychology looks at social influences, as well as social perception and social interaction. Social stratification is the hierarchical arrangement of individuals into social classes, castes, and divisions within a society. . Modern Western societies stratification traditionally relates to cultural and economic classes arranged in three main layers: upper class, middle class, and lower class, but each class may be further subdivided into smaller classes (e.g. occupational). Social stratification is interpreted in radically different ways within sociology. Proponents of structural functionalism suggest that, since the stratification of classes and castes is evident in all societies, hierarchy must be beneficial in stabilizing their existence. Conflict theorists, by contrast, critique the inaccessibility of resources and lack of social mobility in stratified societies. 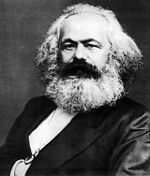 Karl Marx distinguished social classes by their connection to the means of production in the capitalist system: the bourgeoisie own the means, but this effectively includes the proletariat itself as the workers can only sell their own labour power (forming the material base of the cultural superstructure). 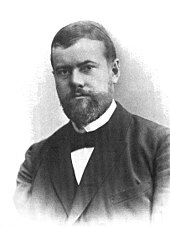 Max Weber critiqued Marxist economic determinism, arguing that social stratification is not based purely on economic inequalities, but on other status and power differentials (e.g. patriarchy). According to Weber, stratification may occur amongst at least three complex variables: (1) Property (class): A person's economic position in a society, based on birth and individual achievement. Weber differs from Marx in that he does not see this as the supreme factor in stratification. Weber noted how managers of corporations or industries control firms they do not own; Marx would have placed such a person in the proletariat. (2) Prestige (status): A person's prestige, or popularity in a society. This could be determined by the kind of job this person does or wealth. and (3) Power (political party): A person's ability to get their way despite the resistance of others. For example, individuals in state jobs, such as an employee of the Federal Bureau of Investigation, or a member of the United States Congress, may hold little property or status but they still hold immense power Pierre Bourdieu provides a modern example in the concepts of cultural and symbolic capital. 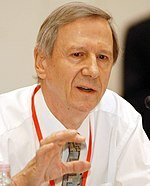 Theorists such as Ralf Dahrendorf have noted the tendency toward an enlarged middle-class in modern Western societies, particularly in relation to the necessity of an educated work force in technological or service-based economies. Perspectives concerning globalization, such as dependency theory, suggest this effect owes to the shift of workers to the Third World. Urban sociology involves the analysis of social life and human interaction in metropolitan areas. It is a normative discipline, seeking to provide advice for planning and policy making. After the industrial revolution, works such as Georg Simmel's The Metropolis and Mental Life (1903) focused on urbanization and the effect it had on alienation and anonymity. In the 1920s and 1930s The Chicago School produced a major body of theory on the nature of the city, important to both urban sociology and criminology, utilising symbolic interactionism as a method of field research. Contemporary research is commonly placed in a context of globalization, for instance, in Saskia Sassen's study of the "Global city". Rural sociology, by contrast, is the analysis of non-metropolitan areas. Sociology overlaps with a variety of disciplines that study society, in particular anthropology, political science, economics, and social philosophy. Many comparatively new fields such as communication studies, cultural studies, demography and literary theory, draw upon methods that originated in sociology. The terms "social science" and "social research" have both gained a degree of autonomy since their origination in classical sociology. The distinct field of social psychology emerged from the many intersections of sociological and psychological interests, and is further distinguished in terms of sociological or psychological emphasis. Sociology and applied sociology are connected to the professional and academic discipline of social work. Both disciplines study social interactions, community and the effect of various systems (i.e. family, school, community, laws, political sphere) on the individual. However, social work is generally more focused on practical strategies to alleviate social dysfunctions; sociology in general provides a thorough examination of the root causes of these problems. For example, a sociologist might study why a community is plagued with poverty. The applied sociologist would be more focused on practical strategies on what needs to be done to alleviate this burden. The social worker would be focused on action; implementing theses strategies "directly" or "indirectly" by means of mental health therapy, counseling, advocacy, community organization or community mobilization. Sociobiology is the study of how social behavior and organization have been influenced by evolution and other biological process. The field blends sociology with a number of other sciences, such as anthropology, biology, and zoology. Sociobiology has generated controversy within the sociological academy for allegedly giving too much attention to gene expression over socialization and environmental factors in general (see 'nature versus nurture'). Entomologist E. O. Wilson is credited as having originally developed and described Sociobiology. Irving Louis Horowitz, in his The Decomposition of Sociology (1994), has argued that the discipline, whilst arriving from a "distinguished lineage and tradition", is in decline due to deeply ideological theory and a lack of relevance to policy making: "The decomposition of sociology began when this great tradition became subject to ideological thinking, and an inferior tradition surfaced in the wake of totalitarian triumphs." Furthermore: "A problem yet unmentioned is that sociology's malaise has left all the social sciences vulnerable to pure positivism—to an empiricism lacking any theoretical basis. Talented individuals who might, in an earlier time, have gone into sociology are seeking intellectual stimulation in business, law, the natural sciences, and even creative writing; this drains sociology of much needed potential." Horowitz cites the lack of a 'core discipline' as exacerbating the problem. Randall Collins, the Dorothy Swaine Thomas Professor in Sociology at the University of Pennsylvania and a member of the Advisory Editors Council of the Social Evolution & History journal, has voiced similar sentiments: "we have lost all coherence as a discipline, we are breaking up into a conglomerate of specialities, each going on its own way and with none too high regard for each other." The most highly ranked journals in the field of general sociology are Sociological Perspectives, the American Sociological Review, the American Journal of Sociology, the British Journal of Sociology, and Sociology. Many more specialized journals also exist. ↑ Ashley D, Orenstein DM (2005). Sociological theory: Classical statements (6th ed.). Boston, Massachusetts, USA: Pearson Education. pp. 3–5, 32–36. ↑ Ashley D, Orenstein DM (2005). Sociological theory: Classical statements (6th ed.). Boston, Massachusetts, USA: Pearson Education. pp. 3–5, 38–40. ↑ Macy, Michael; Willer, Robb (2002). "From Factors to Actors: Computational Sociology and Agent-Based Modeling". Annual Review of Sociology 28: 143–66. doi:10.1146/annurev.soc.28.110601.141117. ↑ Lazer, David; Pentland, Alex; Adamic, L; Aral, S; Barabasi, AL; Brewer, D; Christakis, N; Contractor, N et al. (February 6, 2009). "Computational Social Science". Science 323 (5915): 721–723. doi:10.1126/science.1167742. PMC 2745217. PMID 19197046. http://www.sciencemag.org/cgi/content/summary/323/5915/721. ↑ Dr; Akhtar, S. W. (1997). "The Islamic Concept of Knowledge". Al-Tawhid: A Quarterly Journal of Islamic Thought & Culture 12: 3. ↑ Haque Amber (2004). "Psychology from Islamic Perspective: Contributions of Early Muslim Scholars and Challenges to Contemporary Muslim Psychologists". Journal of Religion and Health 43 (4): 357–377 . doi:10.1007/s10943-004-4302-z. ↑ Des Manuscrits de Sieyès. 1773–1799, Volumes I and II, published by Christine Fauré, Jacques Guilhaumou, Jacques Vallier et Françoise Weil, Paris, Champion, 1999 and 2007. See also Christine Fauré and Jacques Guilhaumou, Sieyès et le non-dit de la sociologie: du mot à la chose, in Revue d'histoire des sciences humaines, Numéro 15, novembre 2006: Naissances de la science sociale. See also the article 'sociologie' in the French-language Wikipedia. ↑ Macionis, Gerber, John, Linda (2010). Sociology 7th Canadian Ed. Toronto, Ontario: Pearson Canada Inc.. pp. 10. ↑ "Stanford Encyclopaedia: Auguste Comte". Plato.Stanford.edu. Retrieved 2011-11-04. ↑ Perrin Robert G. (1995). "Émile Durkheim's Division of Labor and the Shadow of Herbert Spencer". Sociological Quarterly 36 (4): 791–808. doi:10.1111/j.1533-8525.1995.tb00465.x. ↑ 24.0 24.1 Commager, Henry Steele (1959-09-10). The American mind: an interpretation of American thought and character since 1880s. ISBN 978-0-300-00046-7. http://books.google.com/books?id=De5sdTFRt5YC&pg=PA199&lpg=PP1&dq=commager+the+american+mind. ↑ "Max Weber – Stanford Encyclopaedia of Philosophy". Plato.stanford.edu. 2007-08-24. Retrieved 2010-01-05. ↑ 30.0 30.1 Harriss, John. The Second Great Transformation? Capitalism at the End of the Twentieth Century in Allen, T. and Thomas, Alan (eds) Poverty and Development in the 21st Century', Oxford University Press, Oxford. p325. ↑ "Sociology – History of Sociology | Encyclopedia.com: Oxford Companion to United States History". Encyclopedia.com. Retrieved 2010-01-05. ↑ "University of Kansas Sociology Department Webpage". Ku.edu. Retrieved 2009-04-20. ↑ 33.0 33.1 "American Journal of Sociology Website". Journals.uchicago.edu. 1970-01-01. Retrieved 2009-04-20. ↑ Miller, David (2009). George Herbert Mead: Self, Language, and the World. University of Texas Press. ISBN 0-292-72700-3. ↑ "British Journal of Sociology Website". Lse.ac.uk. 2009-04-02. Retrieved 2009-04-20. ↑ "Leonard Trelawny Hobhouse". Bookrags. Retrieved 2011-11-04. ↑ Bendix, Reinhard (July 1, 1977). Max Weber: An Intellectual Portrait. University of California Press. ISBN 0-520-03194-6. http://books.google.com/?id=63sC9uaYqQsC&pg=PA1&lpg=PA1. ↑ "Frankfurt School". (2009). In Encyclopædia Britannica. Retrieved September 12, 2009, from Encyclopædia Britannica Online . Retrieved September 12, 2009. ↑ "International Sociological Association Website". Isa-sociology.org. Retrieved 2011-11-04. ↑ Halfpenny, Peter. Positivism and Sociology: Explaining Social Science. London:Allen and Unwin, 1982. ↑ Ashley D, Orenstein DM (2005). Sociological theory: Classical statements (6th ed.). Boston, Massachusetts, USA: Pearson Education. pp. 94–98, 100–104. ↑ Gartell, David; Gartell, John (1996). "Positivism in sociological practice: 1967–1990". Canadian Review of Sociology 33: 2. ↑ Boudon, Raymond. 1991. "Review: What Middle-Range Theories are". Contemporary Sociology, Vol. 20 Num. 4 pp 519–522. ↑ Ashley D, Orenstein DM (2005). Sociological theory: Classical statements (6th ed.). Boston, Massachusetts, USA: Pearson Education. p. 169. ↑ Ashley D, Orenstein DM (2005). Sociological theory: Classical statements (6th ed.). Boston, Massachusetts, USA: Pearson Education. pp. 202–203. ↑ Ashley D, Orenstein DM (2005). Sociological theory: Classical statements (6th ed.). Boston, Massachusetts, USA: Pearson Education. pp. 239–240. ↑ Ashley D, Orenstein DM (2005). Sociological theory: Classical statements (6th ed.). Boston, Massachusetts, USA: Pearson Education. p. 241. ↑ Kaern, Phillips & Cohen. (1990) Georg Simmel and Contemporary Sociology. Springer Publishing. ISBN 978-0-7923-0407-4. p15. ↑ 58.0 58.1 Levine, Donald (ed) 'Simmel: On individuality and social forms' Chicago University Press, 1971. pxix. ↑ Simmel, Georg The Metropolis and Mental Life in Levine, Donald (ed) 'Simmel: On individuality and social forms' Chicago University Press, 1971. p324. ↑ Urry, John (2000). "Metaphors". Sociology beyond societies: mobilities for the twenty-first century. Routledge. p. 23. ISBN 978-0-415-19089-3. http://books.google.co.uk/books?id=ogyDBobOHVEC&pg=PA23. ↑ "Department of Anthropology College of Arts and Sciences The University of Alabama: Anthropological theories". As.ua.edu. Retrieved 2011-11-04. ↑ Assiter, A 1984, 'Althusser and structuralism', The British journal of sociology, vol. 35, no. 2, Blackwell Publishing, pp.272–296. ↑ Giddens, A (1996). The Constitution of Society. California: University of California Press. pp. 14–19. ISBN 0-520-05728-7. ↑ Hunter Laura, Leahey Erin (2008). "Collaborative Research in Sociology: Trends and Contributing Factors". American Sociologist 39 (4): 290–306. doi:10.1007/s12108-008-9042-1. ↑ Hanson, Barbara (2008). "Whither Qualitative/Quantitative? : Grounds for Methodological Convergence". Quality and Quantity 42: 97–111. doi:10.1007/s11135-006-9041-7. ↑ Martin, Patricia Yancey, Turner, Barry A.. (1986). "Grounded Theory and Organizational Research". The Journal of Applied Behavioral Science, 22(2), 141. Retrieved June 21, 2009, from ABI/INFORM Global database. (Document ID: 1155984). ↑ Jost, JT; Kay, AC (2005). "Exposure to benevolent sexism and complementary gender stereotypes: Consequences for specific and diffuse forms of system justification" (PDF). Journal of Personality and Social Psychology 88 (3): 498–509. doi:10.1037/0022-3514.88.3.498. PMID 15740442. http://www.willettsurvey.org/TMSTN/Gender/ComplementaryGenderSterotypes.pdf. ↑ Quantitative Narrative Analysis (Quantitative Applications in the Social Sciences). Roberto Franzosi, Beverly Hills, CA: Sage, 2010. ↑ Bainbridge, William Sims (2007). "Computational Sociology". In Ritzer, George. Blackwell Encyclopedia of Sociology. Blackwell Reference Online. doi:10.1111/b.9781405124331.2007.x. ISBN 978-1-4051-2433-1. http://www.sociologyencyclopedia.com/subscriber/tocnode?id=g9781405124331_chunk_g97814051243319_ss1-85. ↑ Macy, Michael W.; Willer, Robert (2002). "From Factors to Actors: Computational Sociology and Agent-Based Modeling". Annual Review of Sociology (Annual Reviews) 28: 143–166. doi:10.1146/annurev.soc.28.110601.141117. JSTOR 3069238. ↑ Epstein, JM; Axell, R (1996). Growing Artificial Societies: Social Science from the Bottom Up. Washington, D.C.: Brookings Institute Press. ISBN 0-262-05053-6. ↑ Axelrod, Robert (1997). The Complexity of Cooperation: Agent-Based Models of Competition and Collaboration. Princeton, New Jersey: Princeton University Press. ISBN 0-691-01568-6. ↑ Casti, J (1999). "The Computer as Laboratory: Toward a Theory of Complex Adaptive Systems". Complexity 4 (5): 12–14. ↑ Goldspink, C (2002). Methodological Implications of Complex Systems Approaches to Sociality: Simulation as a Foundation for Knowledge. 5. Journal of Artificial Societies and Social Simulation. http://jasss.soc.surrey.ac.uk/5/1/3.html. ↑ Gilbert, Nigel; Troitzsch, Klaus (2005). "Simulation and social science". Simulation for Social Scientists (2 ed.). Open University Press. http://cress.soc.surrey.ac.uk/s4ss/. ↑ Epstein, Joshua (2007). Generative Social Science: Studies in Agent-Based Computational Modeling. Princeto: Princeton University Press. ISBN 0-691-12547-3. ↑ "What Is Applied Sociology?" Applied Sociology. Web. 21 Feb. 2012. <http://www.appliedsoc.org/applied-sociology/>. ↑ "Robert K. Merton Remembered". Retrieved 2009-12-02. ↑ Western, Bruce. 2006. Punishment and Inequality in America. New York: Russel Sage. ↑ "Principles of Economic Sociology by Richard Swedberg – An extract". Retrieved 2009-12-02. ↑ Correll, Shelley, Stephen Benard, In Paik. 2007. "Getting a job: Is there a motherhood penalty?" American Journal of Sociology 112: 1297–1338. ↑ "British Sociological Association: Medical Sociology". BSA. Retrieved 2009-10-23. ↑ Ben-David, Joseph; Teresa A. Sullivan (1975). "Sociology of Science". Annual Review of Sociology 1: 203–222. doi:10.1146/annurev.so.01.080175.001223. http://www.compilerpress.atfreeweb.com/Anno%20Ben%20David%20&%20Sullivan%20Sociology%20of%20Science%20ARS%201975.htm. Retrieved 2006-11-29. ↑ Siebold, Guy (2001). "Core Issues and Theory in Military Sociology". Journal of Political and Military Sociology. Retrieved 2008-07-14. ↑ Contemporary political sociology ... - Kate Nash. Books.google.com. http://books.google.com/books?id=LWwBN3rUrO4C&printsec=frontcover&dq=contemporary+political+sociology&hl=en&ei=UaGETsjbOI6r8QPgr9w0&sa=X&oi=book_result&ct=result&resnum=1&ved=0CDEQ6AE. Retrieved 2011-11-04. ↑ Social movements: an introduction - Donatella Della Porta, Mario Diani. Books.google.com. http://books.google.com/books?id=5mazSOSvqrEC&printsec=frontcover&dq=social+movements&hl=en&ei=iKGETretNoia8QPL-b1i&sa=X&oi=book_result&ct=result&resnum=1&ved=0CCwQ6AEwAA#v=onepage&q&f=false. Retrieved 2011-11-04. ↑ "Milton Louw - Making A Better World." : Oldest Coloured Owned Business in Namibia. Web. 22 Feb. 2012. <http://milton-louw.blogspot.com/2011/03/oldest-coloured-owned-business-in.html>. ↑ Stolte, John F; Fine, Gary Alan; Cook, Karen S. (2001). "Sociological miniaturism: seeing the big through the small in social psychology". Annual Review of Sociology 27: pp. 387–413. doi:10.1146/annurev.soc.27.1.387. ↑ 115.0 115.1 "What Is Social Psychology – An Introduction to Social Psychology". Psychology.about.com. Retrieved 2010-06-01. ↑ Saunders, Peter (1990). Social Class and Stratification. Routledge. ISBN 978-0-415-04125-6. http://books.google.com/?id=FK-004p0J_EC. ↑ Macionis, Gerber,, John, Linda (2010). Sociology 7th Canadian Ed.. Toronto, Ontario: Pearson Canada Inc... pp. 243.. ISBN 978-0-13-700161-3. ↑ Stark, , Rodney (2006). Sociology. Wadsworth Publishing. ISBN 978-0-495-09344-2. ↑ "Web page" (PDF). Sociology and Its Relationships to Other Social Sciences. National Organization of Sociology. Archived from the original (PDF) on 26 June 2011. Retrieved 15 July 2011. ↑ 126.0 126.1 Kirst-Ashman, K.K. & Hull, G.H. (2009). Generalist Practice with Organizations and Communities (4th ed.). Belmont, CA: Brooks/Cole Cengage Learning. ISBN 0-495-50715-6. ↑ Hepworth, D.H, Rooney, R.H., Rooney, G.D, Strom-Gottfried, K., Larsen, J.A. (2006). "1". Direct Social Work Practice. Belmont, CA: Thomson Brooks/Cole. ISBN 0-534-64458-9. ↑ Janes, Craig Robert; Stall, Ron; Gifford, Sandra M (1986). James Trostle. Springer. ISBN 978-90-277-2248-5. http://books.google.com/?id=ggn-VgZceYAC&pg=PA82&lpg=PA82&dq=Will+Anthropology+be+absorbed+by+Sociology%3F&q=Will%20Anthropology%20be%20absorbed%20by%20Sociology%3F. Retrieved 2009-09-08. ↑ "Sociology-Basic Concepts" (PDF). nos.org. Archived from the original (PDF) on 2011-06-26. Retrieved 2010-11-28. ↑ Dugan, David. "NOVA: Lord of the Ants." NOVA: Lord of the Ants. Dir. David Dugan. Prod. David Dugan. PBS. WGBH, Boston, Massachusetts, 20 May 2008. Television. ↑ "The most cited authors of books in the humanities". timeshighereducation.co.uk. 2009-03-26. Retrieved 2009-11-16. ↑ "Journals Ranked by Impact: Sociology". 2010 Journal Citation Reports (Social Sciences ed.). Thomson Reuters. 2011. Aby, Stephen H. Sociology: A Guide to Reference and Information Sources, 3rd edn. Littleton, Colorado, Libraries Unlimited Inc., 2005, ISBN 1-56308-947-5 . OCLC 57475961. Babbie, Earl R.. 2003. The Practice of Social Research, 10th edition. Wadsworth, Thomson Learning Inc., ISBN 0-534-62029-9 . OCLC 51917727. Collins, Randall. 1994. Four Sociological Traditions. Oxford, Oxford University Press ISBN 0-19-508208-7 . OCLC 28411490. Giddens, Anthony. 2006. Sociology (5th edition), Polity, Cambridge. ISBN 0-7456-3378-1 . OCLC 63186308. Merton, Robert K.. 1959. Social Theory and Social Structure. Toward the codification of theory and research, Glencoe: Ill. (Revised and enlarged edition) . OCLC 4536864. Mills, C. Wright, The Sociological Imagination,1959. OCLC 165883. Nisbet, Robert A. 1967. The Sociological Tradition, London, Heinemann Educational Books. ISBN 1-56000-667-6 . OCLC 26934810. Ritzer, George and Douglas J. Goodman. 2004. Sociological Theory, Sixth Edition. McGraw Hill. ISBN 0-07-281718-6 . OCLC 52240022. Scott, John & Marshall, Gordon (eds) A Dictionary of Sociology (3rd Ed). Oxford University Press, 2005, ISBN 0-19-860986-8, . OCLC 60370982. Wallace, Ruth A. & Alison Wolf. 1995. Contemporary Sociological Theory: Continuing the Classical Tradition, 4th ed., Prentice-Hall. ISBN 0-13-036245-X . OCLC 31604842. White, Harrison C.. 2008. Identity and Control. How Social Formations Emerge. (2nd ed., Completely rev. ed.) Princeton, Princeton University Press. ISBN 978-0-691-13714-8 . OCLC 174138884. Willis, Evan. 1996. The Sociological Quest: An introduction to the study of social life, New Brunswick, New Jersey, Rutgers University Press. ISBN 0-8135-2367-2 . OCLC 34633406.